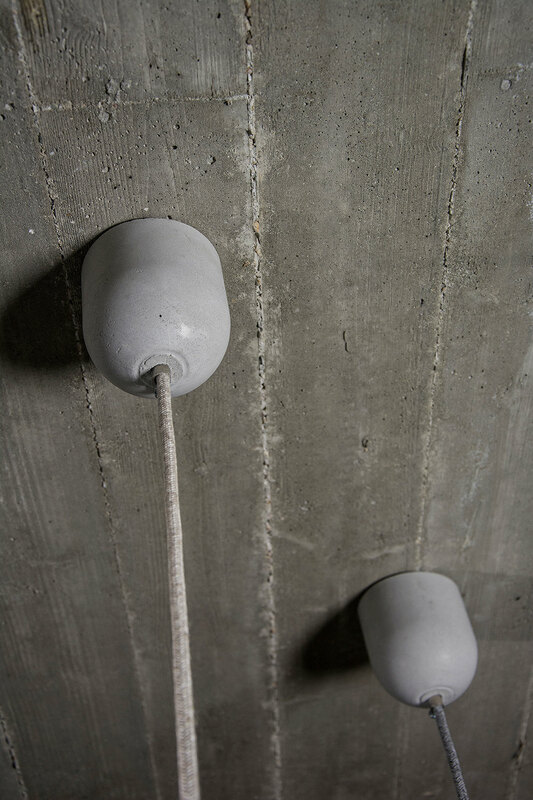 – A concrete lamp holder. 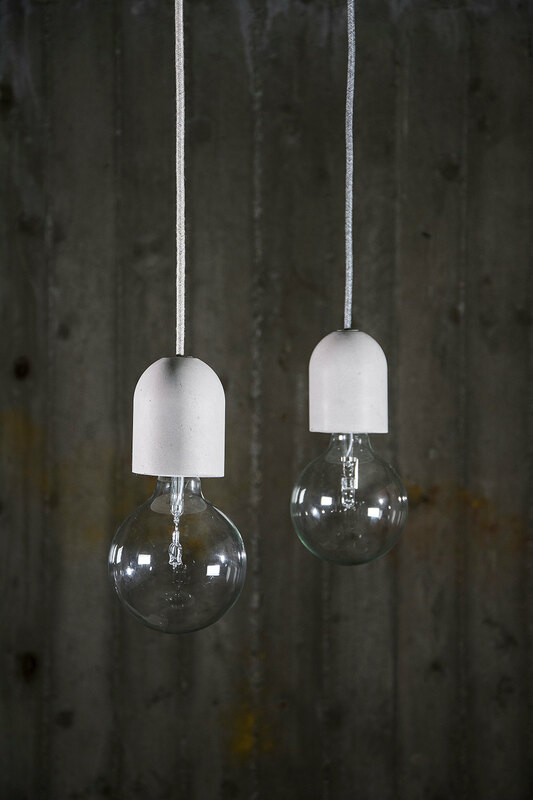 Each piece is unique, handmade, present imperfections like bubbles, nuances. It has rounded form. And is suitable for containing the holder CE. Measuring about 11 cm (4,33 in) height and 8 cm (3,15 in) diameter. – 1.5 meters of electrical cable in colorful fabric (2 wires x 0.75 mm) diameter of 6.2 mm (0,25 in). You choose the color! 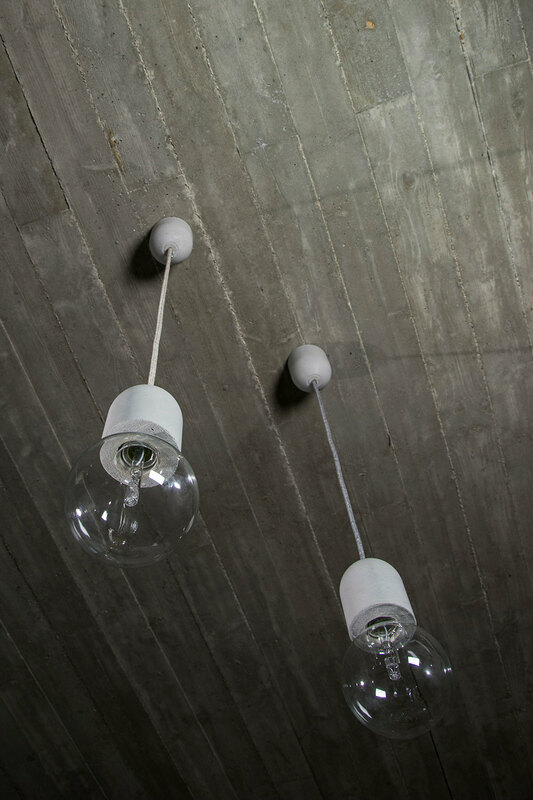 – A concrete ceiling rose/cup with metal cable grip/strain relief to mask the wire on ceiling.